For some consumers, debt is like a snowball rolling downhill. Once it starts rolling, it gets larger with every revolution — and the bigger it gets, the harder it is to stop it without being run over. A common source of debt among consumers with bad credit is payday or cash advance loans. These have sky-high interest rates and lump-sum repayments that make it difficult for many people to stop the debt snowball before it starts rolling downhill. The best way to avoid being trapped under debt from payday loans is to avoid them in the first place. While this can be tricky with bad credit, there are alternatives out there for most consumers, regardless of their credit scores. While subprime credit cards will definitely charge high interest rates, those rates are easily dwarfed by the absurdly high fees you’ll be charged for a payday or cash advance loan. Many of our top-rated cards also offer extra benefits, like free FICO scores, that can help you stay on track. Another factor in favor of using credit cards is that they are revolving credit lines, which means you won’t have a hard deadline for paying off your balance (though you’ll need to make at least the minimum payment). Even better, if you can pay off your charges in full before your credit card’s due date, then you can likely avoid interest entirely. That’s because most credit cards offer a grace period on interest fees, which means you won’t be charged interest on your balance if it’s paid in full before the end of the grace period. If a credit card isn’t a viable option, then a personal installment loan may be the best bet. Installment loans are repaid with monthly payments that allow you to pay off your loan over a period of six months up to six years. Personal installment loans can also be obtained in amounts larger than most bad-credit credit cards will allow. Depending on your qualifications, our top-rated online lending networks can help you find installment loans in amounts ranging from $500 up to $35,000. Online lending networks are not direct lenders. Instead, they partner with lenders from around the country to help borrowers find a lender based on their loan needs and qualifications. 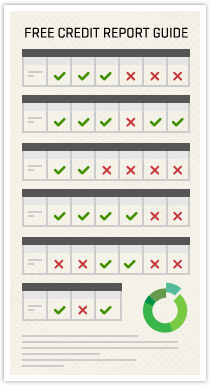 This allows borrowers to explore multiple lending options with a single application. When considering a personal installment loan, be sure to include all the variables in your decision. For example, most loans charge an origination fee, which is typically deducted when the loan is dispersed. Additionally, you may want to experiment with varying your loan parameters, perhaps with an online loan calculator. 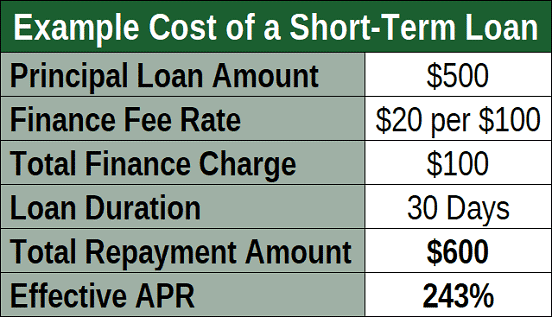 The length of your loan term will strongly contribute to the size of your monthly payment, so looking at longer-term versus shorter-term loans can help you find the right fit. If you own your home, you may have another alternative to payday loans: a home equity loan or line of credit. Home equity loans tap into the equity in your home — the value in your home above what you owe — as collateral for a loan or credit line that can be used for a variety of purposes. Because loans that use your home’s equity as collateral are secured by the home itself, your bad credit may have less influence on your ability to qualify. An online lending network, like those below, can be the easiest way to find a flexible lender that will work with your credit. While home equity loans typically don’t require a down payment, they will often come with additional costs, like processing or origination fees. Any costs should be clearly laid out in your loan agreement, so be sure to read through it carefully before signing to avoid any surprise fees. Also, although it’s always important to stay up to date on your debts, it’s doubly important for any loan that uses your home as collateral. That’s because defaulting on a home equity loan could put your home at risk, leaving you with no home and severely damaged credit. When things get tight and your poor credit makes it hard to find financing, it can be sorely tempting to use a payday loan, “just this once.” But that could wind up being a huge — and very expensive — mistake. In the consumer finance world, payday and cash advance loans are typically the most expensive type of financing you can obtain (short of going to a movie-villain loan shark, at any rate). Worse, many of these lenders make it hard for consumers to tell exactly how expensive their loans are. Payday lenders tend to mask the three-digit interest rates by labeling the fees as finance fees, rather than calling them interest fees. For example, a typical short-term loan charges a $20 finance fee for every $100 borrowed. For a $500 loan, that means $100 in finance fees. When you do the math, a four-week payday loan would have an APR of about 243% — more than 6 times higher than the rate charged by the worst credit cards. But it doesn’t stop there. Because payday loans need to be repaid all at once — including the principal and all finance fees — on the due date, it can be a challenge for already budget-strapped borrowers to repay their loans. This results in many borrowers extending their loans — with the addition of more finance fees — literally buying more time to come up with the money. This can contribute to a vicious cycle of debt that may be impossible to escape. Unless you’re absolutely certain you can repay your payday loan in full on the due date — and even if you are certain — you should avoid payday loans entirely. It only takes one bad loan to start the debt snowball rolling, and that debt can grow to unmanageable proportions faster than many payday loan borrowers are willing to believe. The best way to avoid the debt trap that is a payday loan is to avoid them in the first place. While a healthy emergency savings can go a long way in this endeavor, sometimes it simply isn’t enough. In these cases, consider every alternative source of financing before you really consider taking on a payday loan. Nearly any other form of financing will have lower rates than a payday loan, as well as offer the ability to make multiple payments over time for easier repayment.